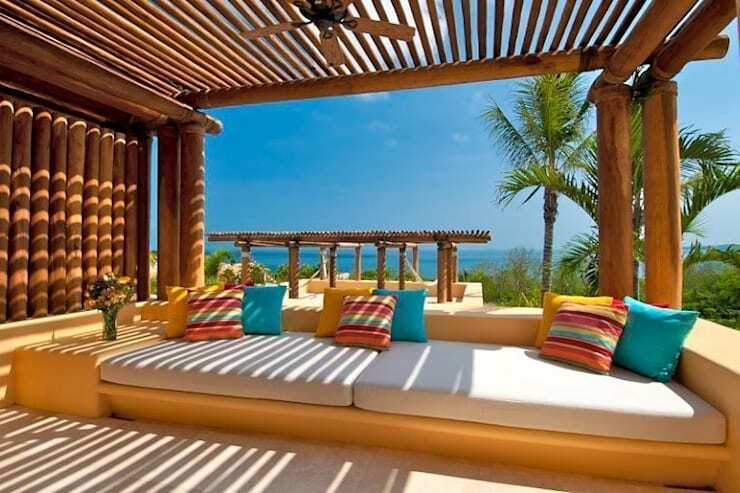 These home improvement ideas will help turn your home into your own private resort. To say that opening a resort isn't easy is a gross understatement. With the huge capital investment, expert managerial skills and hardworking employees required to even start such a business, it's safe to say that building a resort might not be the best way if you want to relax in luxury. So we'll go with the next best thing, turning your home into your own tropical oasis. Most houses have a living room, but if you want a truly relaxing atmosphere consider building it in the most scenic corners of your home. If you have an outdoor space, patio or garden, convert it into your own personal relaxation lounge where you can sit back and lie under the sun. Bring the resort life into your own space. Already starting to feel relaxed after seeing the warm atmosphere of this home? We are. This house is made to feel like it's from a beautiful seaside resort. The atmosphere and the very essence of the design are similar to that of a nice hotel. 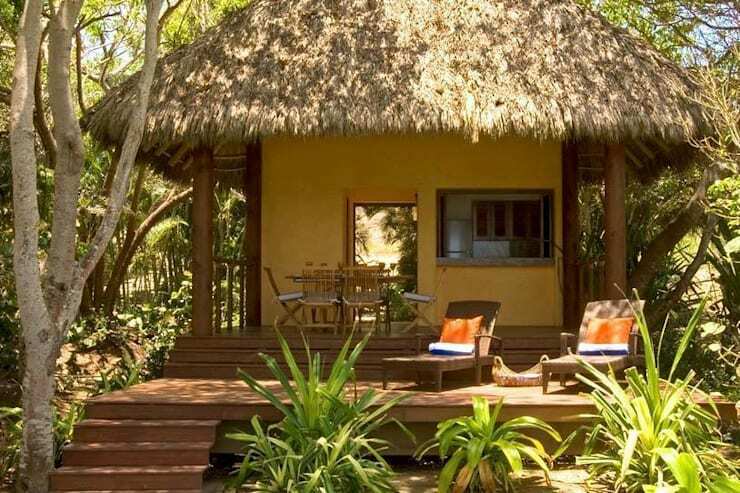 It has the warm tropical elements that you can bring into the design of your own home project. 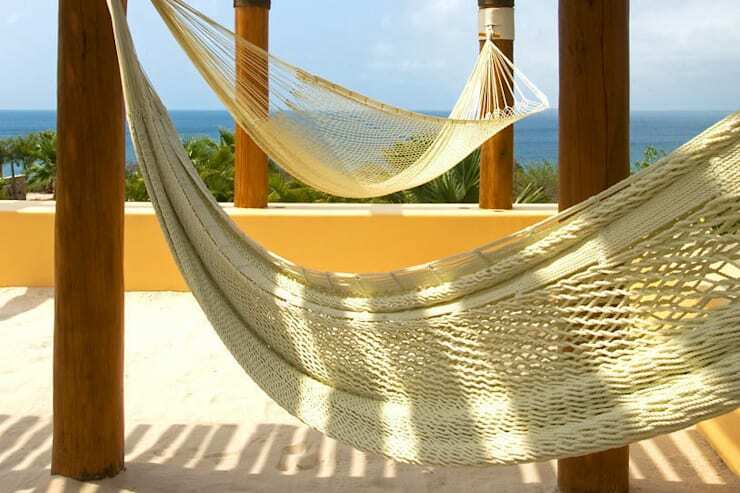 Hammocks make for an excellent and super affordable detail that can truly encapsulate that resort vibe. It's an easy choice. Just choose the perfect location to hang it and let the natural atmosphere do the rest. If you have a nice garden or you live by the seaside then it's the perfect spot. 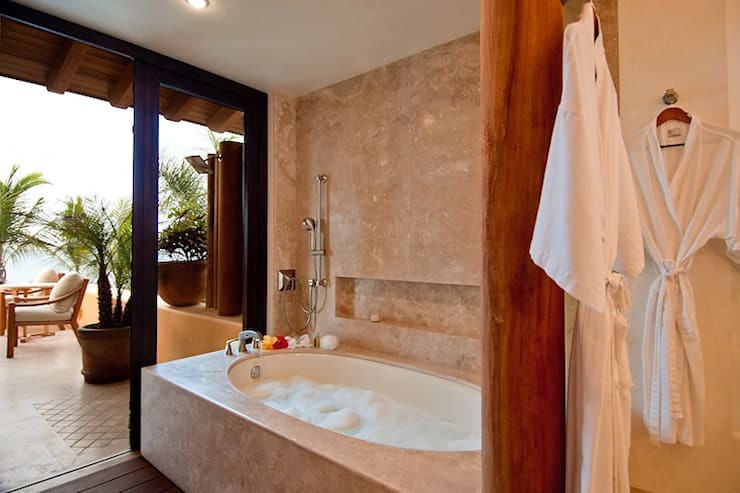 A truly unique feature that you can only get in some exclusive luxury resorts are open air bathrooms. It's the perfect feature if your property has the space or the height to properly execute it sans unintentional public exposure. The open concept is great for ventilation and enjoying scenic views while you're soaking in a nice tub. If you're feeling more reserved then you can still opt for a semi open bathroom design with air conditioning. To further ensure the privacy of your mini sanctuary, build high walls around your property or maybe add in some curtains. 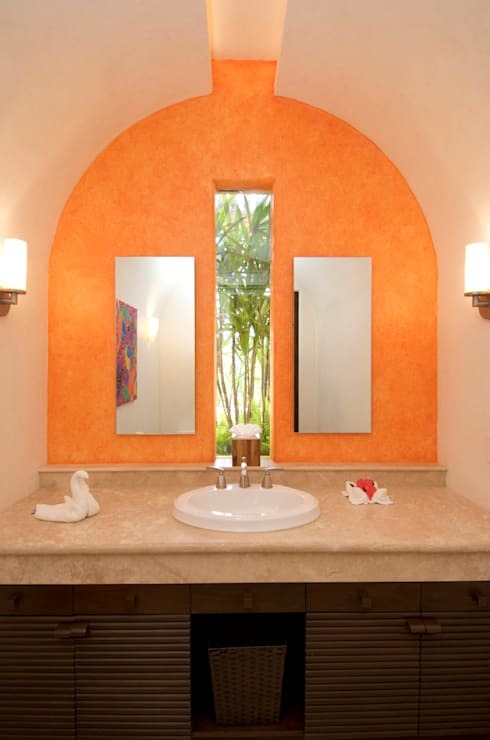 This open air bathroom utilizes neutral hues accentuated by warm and bright colors a style often used in resorts. Painting the walls orange and adding some textures and patterns will do wonders for the overall look and feel of your bathroom. 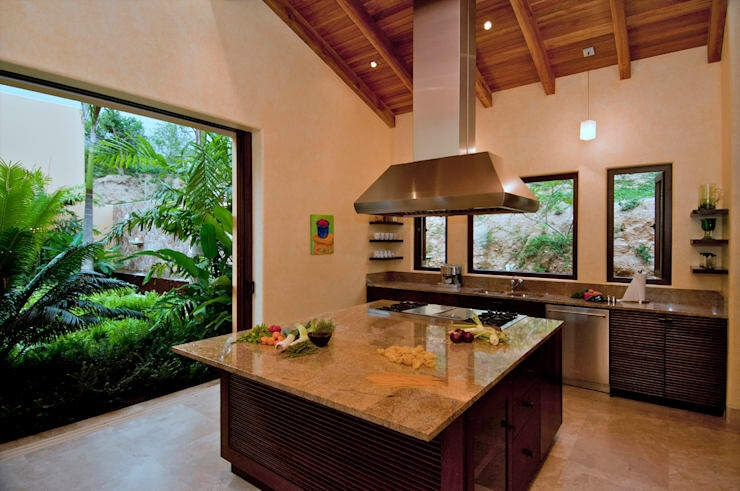 If open air bathrooms are a stretch for you, then you can always opt for an open air kitchen. Not only does it help make your kitchen workspace look more spacious it also adds a calming atmosphere. In addition to looking amazing, an open air kitchen has the added benefit of providing excellent ventilation to get rid of smoke and odors and bringing in natural light as you prepare meals. Have you ever wanted to wake up to a scenic landscape? Consider building an outdoor area that's connected right to your bedroom. Whether it's an actual doorway that leads to the garden or a balcony with a view, having this space allows you to connect with nature and provides a calming and relaxing atmosphere. It's the perfect example of resort living delivered directly to your bedroom.